D monster truck racing game. Take part in races of two types: Sprint and Capture the Flag. Earn points and upgrade your monster truck. Take first place in the top list of the best monster truck drivers! Monster trucks are specially built pickups with very large wheels and suspension with large stroke and powerful engines. These vehicles are to participate in special events, including off-road racing, trial, jumping over obstacles and various acrobatics. 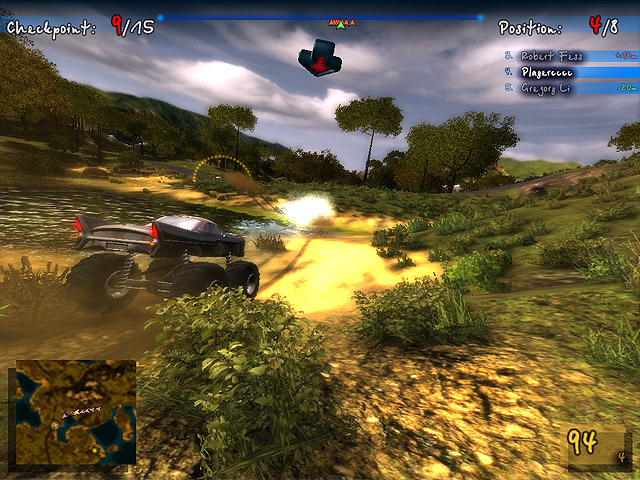 Download free monster truck games, and enjoy the game without any limitations!